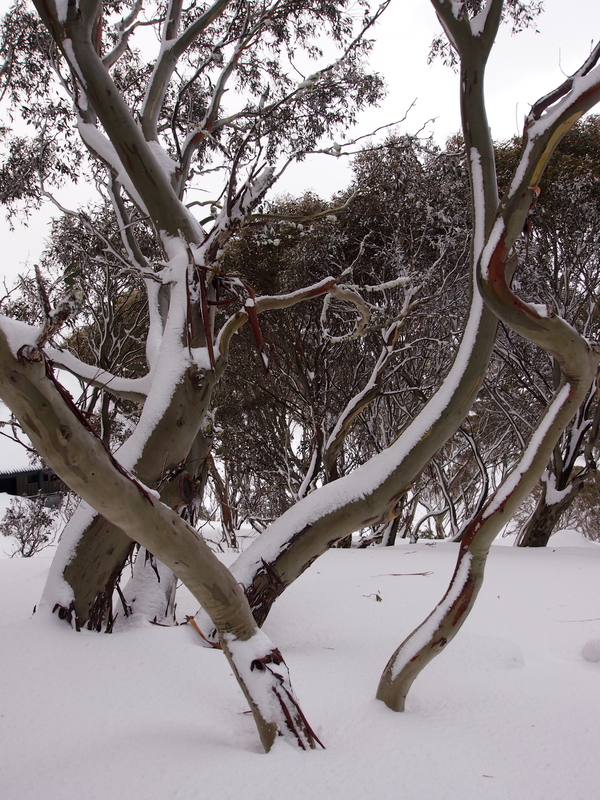 I think these are snow gum (Eucalyptus pauciflora – my Latin memory suggests it means few flowers). 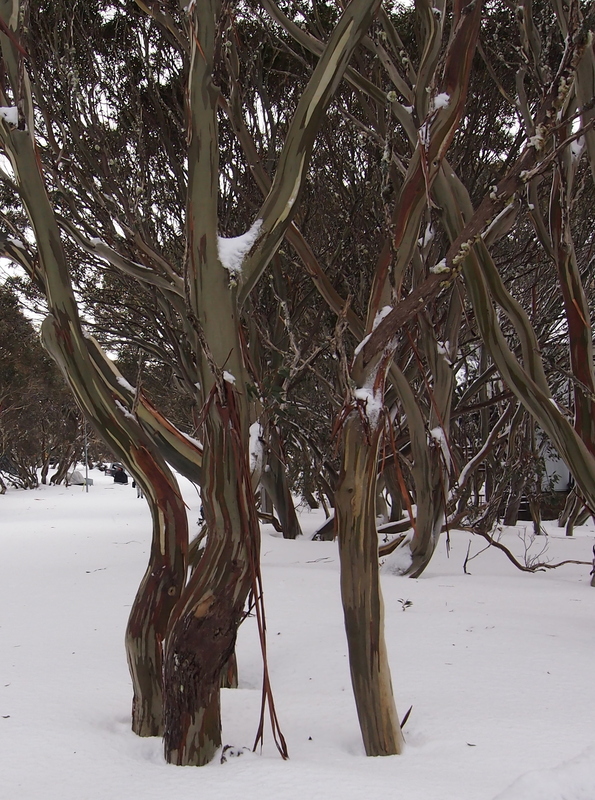 Located on Mt Hotham, they line the path back to the lodge where we stay. Their brightly streaked bark stands out from the white snow, of which there was aplenty this year!